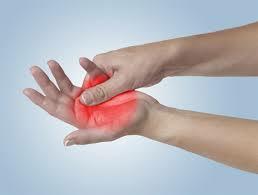 Even though the pain may be experienced in the arm, for example, the arm itself is not injured. Instead in CPS, the actual pain stems from damage in the CNS. CPS can be thought of as a broken circuit. An inappropriate signal is sent and creates hyperexcitability of the nerves. What would normally be considered as a low or normal stimulus – such as a touch – is instead perceived as severe pain due to the hyperexcitability of the affected nerves. Some people report experiencing the pain in form of burning, freezing, itching, pulling, crushing, or a “pins and needles” sensation. Others have reported sharp stabbing pains or dull aches. This pain may be experienced in the trunk, an arm or leg, or on one side of the body. Some suffer a constant pain; for others, the pain is intermittent. Because of the variability of symptoms, it may be difficult for a physician to pinpoint the pain. It is not uncommon for people suffering from CPS to go from doctor to doctor before receiving an accurate diagnosis. This can have a tremendous impact on the person’s emotional and physical state. Treatment of these cases involves more than just medication. It is important to find an interdisciplinary team of physicians and therapists to control and decrease the pain in order to improve the quality of life. It is important for people with CPS to have a strong support system to deal with the challenges of daily life and chronic pain. Resources such as the international pain association powerofopain.org, American Pain Society http://americanpainsociety.org, and the American Chronic Pain Association http://americanpainsociety.org can provide insight and further information.